They are suitable for outdoor use or in well ventilated rooms and have a degree of efficiency of 100%. Fuel supply from the integrated tank via an integrated compressor with the models GK. 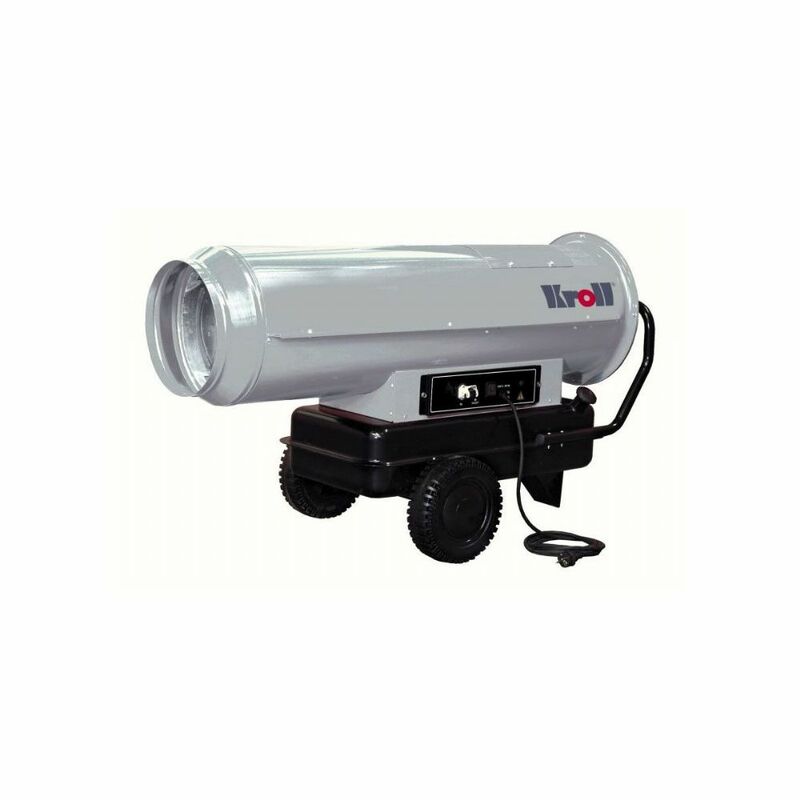 Kroll GK60 Direct Oil Fired Mobile Heater - Output 60KW / 200000 Btu's per Hour. Ideal for - Workshops, Factories, Warehouses, Builders, Greenhouses, Decorators, and Garages etc. This unit is suitable only for use in well ventilated areas & is not suitable for applications where a naked flame is deemed not safe. These units are German manufactured, having the advantage of being well engineered and are very robust, unlike many of our competitors models, which are manufactured in the Far East. This unit has an air delivery of approximately 1300 M³/h.